Avisek Maity, SRF, Dept. 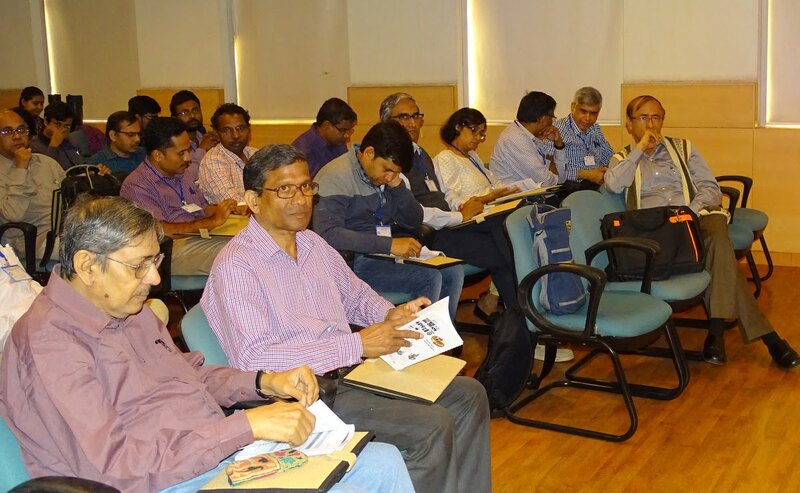 of CMP& MS (working under supervision of Dr. Barnali Ghosh Saha) has been selected among 170 applicants (among them 55 were selected) of 55 countries around the globe for a workshop fully funded by Juelich Centre for Neutron Science (JCNS), Germany. The 21st JCNS workshop (4-15 September, 2017) on Neutron scattering held at Juelich and Garching, Germany. Training in the workshop was both theoretical and hands on. This workshop is considered as one of the very well known and prestigious workshops in the area of neutron scattering in the world. 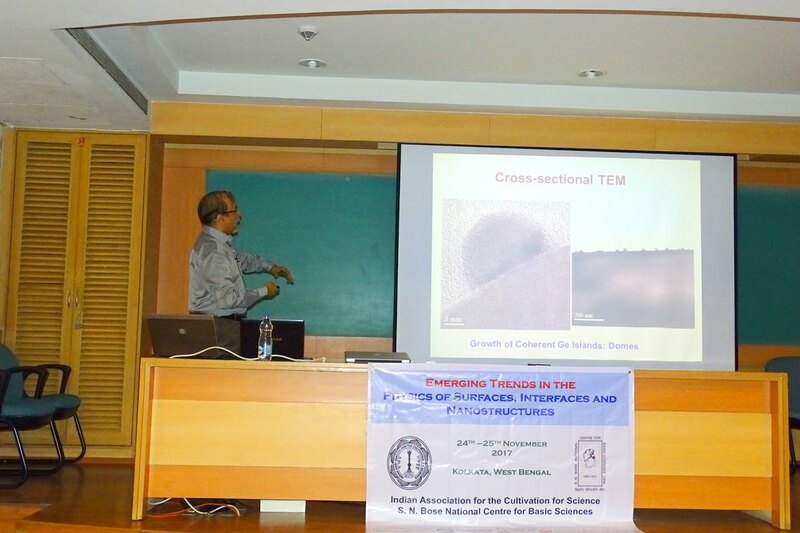 Sankar Das, SRF of the Centre presented on "Synthesis of Hybrid Nanocomposites for Atmospheric CO2 Capture" in 6TH INTERNATIONAL CONFERENCE ON 'MATERIAL SCIENCE AND ENGINEERING TECHNOLOGY (ICMSET 2017) held at Seoul National University, Republic of Korea during October 20-22, 2017. Chandan Samanta, SRF, Dept. of CMP& MS (working under supervision of Dr. Barnali Ghosh Saha) went to BITS Pilani for attending the International Conference on Nano and Functional Materials (NFM-2017) during 16-18th November, 2017, organised by Department of Chemistry, BITS and Materials Research Society of India (MRSI) –Rajasthan Chapter. He has received the Best Poster Award among 100 poster sponsored by MRSI-Rajasthan Chapter. One-Day Seminar on "Scope of Astronomy with Small Telescopes" organized by Indian Centre for Space Physics & S. N. Bose National Centre for Basic Sciences on 6.11.2017. 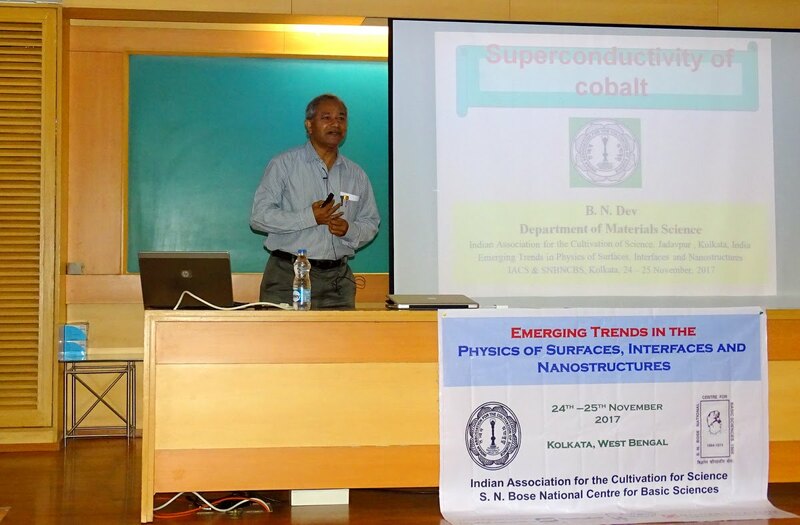 A conference on "Emerging Trends on Physics of Surfaces, Interfaces and Nanostructures" was jointly organised by IACS and SNBNCBS at the centre during 24-25 November, 2017.